Baltimore had a gritty taste of baseball in the late 19th century with a team of hard-nosed Orioles who hit with their fists as often as they did with bats. The team read like a "Who's Who" of 19th century stars, including Wee Willie Keeler, Wilbert Robinson, Hughie Jennings, John McGraw and Ned Hanlon. These Orioles joined the new American League as a charter franchise in 1901. But behind the scenes, American League President Ban Johnson believed for his fledgling league to succeed he needed a team in New York City. With the help of two businessmen he maneuvered the Orioles out of Baltimore and into New York, where they eventually became the Yankees. The city of Baltimore would go another half-century without a major league team. Meanwhile, about 800 miles to the west, the future Orioles were born when St. Louis joined the American League in 1902 with a team transplanted from Milwaukee (the original Milwaukee Brewers had been an American League charter franchise in 1901 but finished dead last). The team was christened the Browns in honor of the St. Louis Brown Stockings, an American Association team which had won four consecutive pennants in the 1880's. The Browns debuted on April 23, 1902, defeating Cleveland 5-2 at Sportsman's Park. It was a rare highlight for a team that finished sixth that first season, and rarely did much better during the next half-century. They endured so much losing that sportswriters said of St. Louis, "First in booze, first in shoes and last in the American League." The Browns had a brief run of first-division success in the early 1920's led by George Sisler, the premier hit-maker of his era. Sisler's 257 hits in 1920 stood as the single season standard until passed by Seattle's Ichiro Suzuki in 2004; his .420 average in 1922 is still the third highest single season average on record since 1900. Sisler was backed by a solid outfield trio of Ken Williams (1922 home run champion), Baby Doll Jacobson and Jack Tobin. During this brief run of quality, the Browns made a momentous mistake unnoticed in most quarters. They dismissed a young, front office executive named Branch Rickey, who went on to build dynasties with the Cardinals and Dodgers. After the brief glory of the early 1920's, the Browns fell back to second division status, reaching a new level of haplessness in 1939 when they drew only 81,000 fans FOR THE ENTIRE SEASON. The Browns fortunes turned upward one more time when they captured the 1944 pennant with the leadership of manager Luke Sewell and slugging shortstop Vern Stephens (league leading one-hundred nine runs batted in). The success hardly won the Browns respect, as the running joke at the time said that baseball talent was so diluted by World War II, even the Browns could win. Although they won two of the first three games, the Browns lost their only World Series to their cross-town rival Cardinals. They finished third in 1945, and then plummeted to the bottom of the American League never to see the first division again. An executive with a flair for promotion named Bill Veeck bought the team in the early 1950's, but his imagination could not hide reality - the team was in dire straits with minimal attendance and no money to attract or retain talent. Veeck sold the team to a Baltimore conglomerate after the Browns played their final game on September 27, 1953, losing 2-1 to the Chicago White Sox. Fittingly, it was the team's 100th loss of the season. In fifty-two years of competition, the Browns won one pennant, finished in the first division only twelve times, while finishing seventh twelve times and eighth (last) fourteen times. The Orioles made an inspired choice by hiring well respected baseball executive Paul Richards into the front office, and, with an emphasis on pitching and defense, the team began a steady climb. 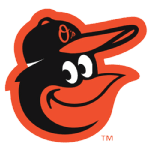 By the early 1960s the Orioles were a young club on the rise, and when they completed the one-sided trade with Cincinnati for Frank Robinson prior to the 1966 season, they became a powerhouse. Led by Robinsons triple crown season (.316 average, 49 homers and 122 RBIs) they won their first World Series championship in 1966. Earl Weaver succeeded Hank Bauer midway through the 1968 season and the Orioles marched to three consecutive pennants, winning 109, 108 and 101 games in 1969-71. They won five of the first six American League East titles and the 1970 world championship. Along with the fiery Robinsons leadership on and off the field, they featured slugging first baseman Boog Powell, an air tight defense with Brooks Robinson and Mark Belanger on the infield and Paul Blair anchoring the outfield. Their pitching dominated, reaching its apex in 1971 when all four starters - Dave McNally (21 victories) Jim Palmer (20), Mike Cuellar (20) and Pat Dobson (20) - each won 20 games. Weaver and the front office kept the Orioles in contention through the 1970's and the advent of free agency, when they lost many of their stars in the later part of the decade. Continued player development, astute trades and pitching were the keys, as Weaver juggled lineups and players through some offensively challenged years. They made it back to the World Series in 1979, although they lost to Pittsburgh in seven games. They were back again in 1983 with new manager Joe Altobelli and defeated Philadelphia. This time, the sluggers were Eddie Murray, Ken Singleton and Cal Ripken, Jr., and the dominating pitchers were Mike Boddicker, Scott McGregor, Mike Flanagan and Tippy Martinez. The Orioles hit a downward spiral after the 1983 championship. During the next decade the team finished no better than third place, frequently doing much worse - such as the last-place 107 loss effort in 1988. The franchise and the fans were rejuvenated by the opening of Oriole Park at Camden Yards in 1992. The Orioles won a wild-card berth in 1996 and the American League East in 1997. The franchise experienced another lull well into the next decade, as an emphasis on redeveloping the farm system and young talent slowed results on the field. Overall, since moving to Baltimore, the Orioles have had considerably more success than their St. Louis forefathers, winning eight division titles, six American League pennants and three world championships. "As long as I can compete, I won't quit. Reaching three-thousand is not the finish line as long as I can contribute." - Baltimore Orioles Shortstop (1981-2001) Cal Ripken, Jr.
1988 54-107 Cal Ripken, Sr.
Stu Miller 0.1 " "
Mike Flanagan 1.0 " "
Mark Williamson 1.0 " "
Gregg Olson 1.0 " "
Did you know that on August 28, 1980 , the Baltimore Orioles set their team record for hits in a game with twenty-six versus the California Angels ? On July 27, 1969 , the Baltimore Orioles set their team record for runs scored during a shutout with seventeen versus the Chicago White Sox . The Baltimore Orioles set their team record for attendance during an Opening Day game played on April 4, 1988 , when 52,395 fans witnessed them lose to the Milwaukee Brewers 0-12.